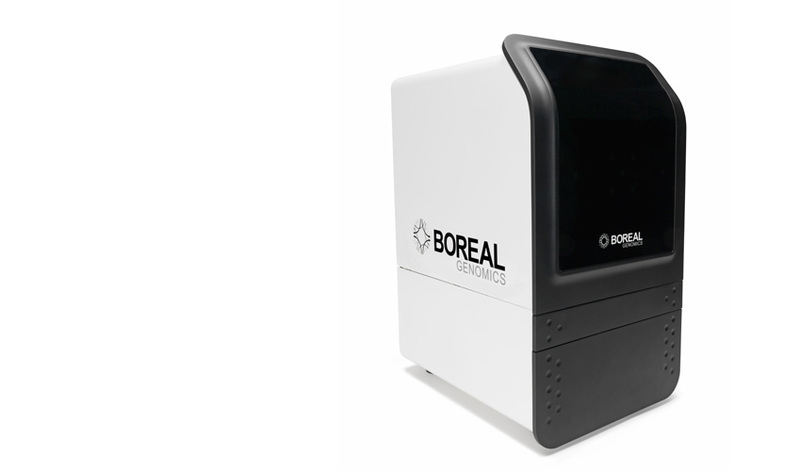 Design and implementation of an advanced yet cost-effective solution for Boreal's next generation DNA purification system, the Aurora II. Emphasis was placed on simple easy to clean external geometry with a quick-access tray system for loading the gel boat into the machine. The tray system employs a linkage that utilizes the horizontal motion of the tray to to raise the gel boat into position below the internal electrode plate. Hidden to lit LED's provide quick indication of the status of the purififcation process.